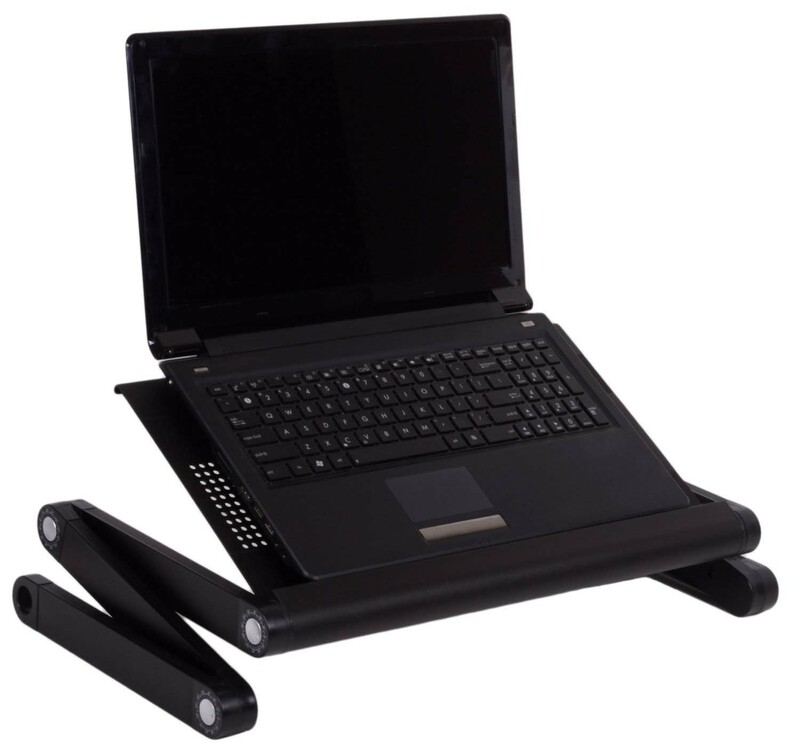 This light aluminium frame ensures that you can work on your laptop lying down or sitting in a chair without causing any back problems. 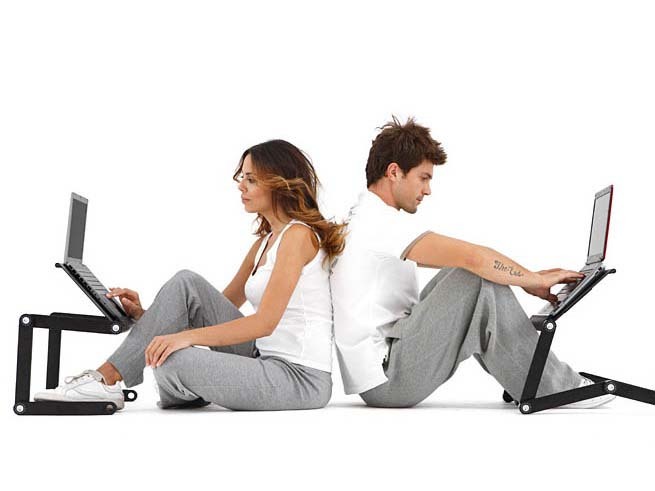 The Laptop Stand is the best way to optimise your posture while working, playing or surfing the web. 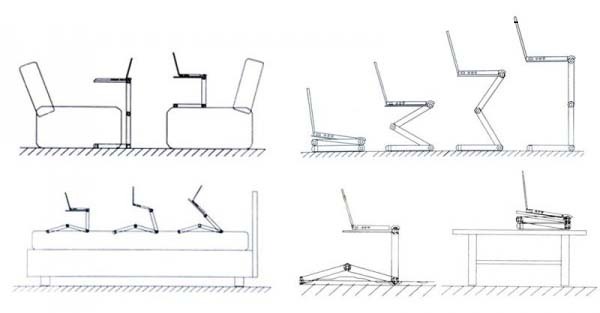 With just a few adjustments, you can create endless configurations allowing you to create the perfect ergonomic work place. 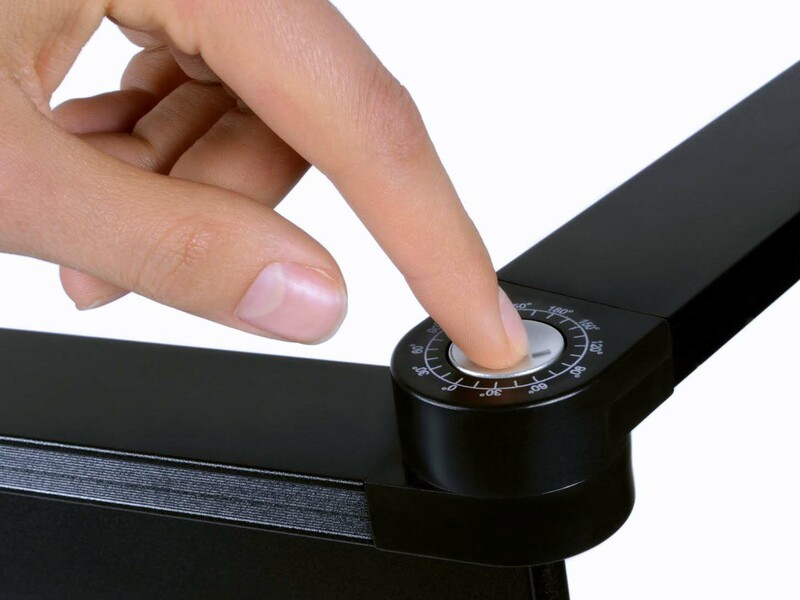 Almost everything is adjustable, such as the height of the slanted work surface and the distance to the main tablet. 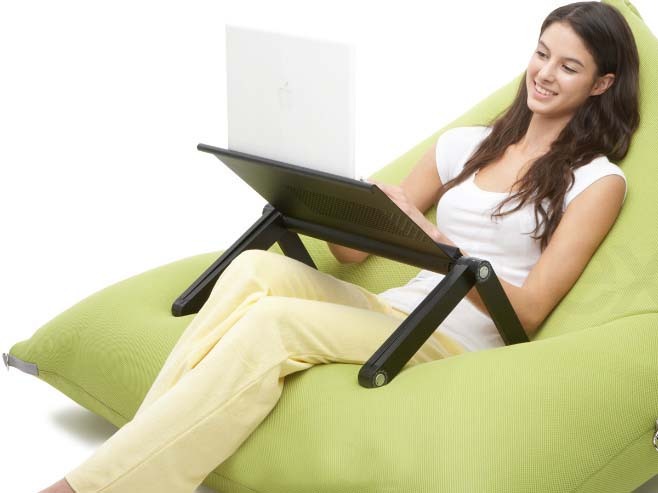 Our laptop table is designed for people who enjoy using their laptop in bed or in a comfortable, lying down position. 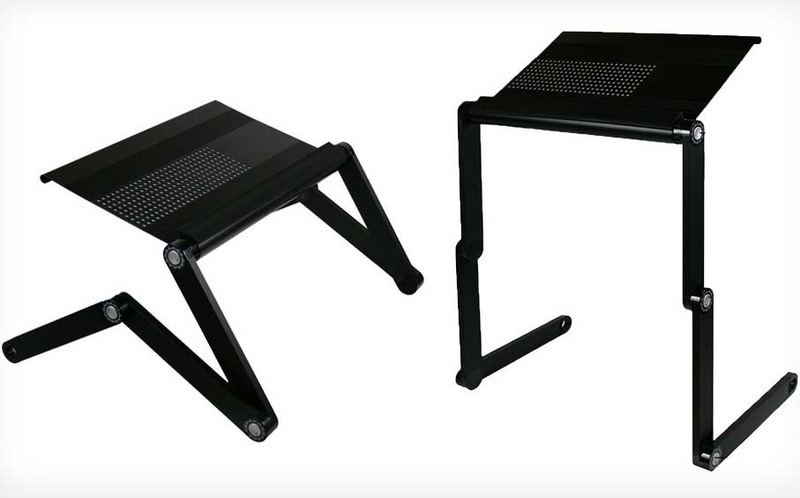 The laptop table can be used in bed, on a couch or in a lounge chair.